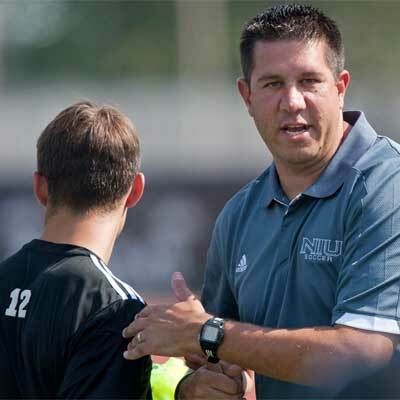 The NIU men’s soccer team reported for preseason camp Tuesday with the first on-field workout scheduled for Wednesday. Coming off a disappointing 2013 campaign, Coach Eric Luzzi is excited to turn the page and start the 2014 season. “All indications from the conversations I have had with the guys recently have been good,” Luzzi said. “The guys seem fit, seem like they are in a good place. The biggest thing I am excited about is that collectively there is a hunger in this group and I am excited to start with them on the field on Wednesday. Other key returnees include third-leading goal scorer from 2013 Bertrand Gaschot (Austin, Texas/Westwood), senior midfielder Jayson LeSeth (Des Plaines, Ill./Maine West) who has made 53 career starts, senior defender Dusty Page (Germantown, Wis./Kettle Moraine Lutheran) and redshirt junior goalkeeper Andrew Glaeser (Walla Walla, Wash./Walla Walla/Oregon State) who made 14 starts a season ago. The Huskie roster also includes 10 newcomers but two of those, defender Taylor Cole (Clarendon Hills, Ill./Hinsdale Central/St. John’s) and forward Chris Paton (Glasgow, Scotland/Uddingston Grammar School), were with the Huskies for the spring and Luzzi will look to his veterans to bring the newcomers along. For the first time under Luzzi, the Huskies will spend a portion of the preseason away from DeKalb, spending four days in Indiana. NIU will play exhibition games Tuesday, Aug. 19, at IUPUI, and Friday, Aug. 22, at DePauw, remaining on the road for the time in between. 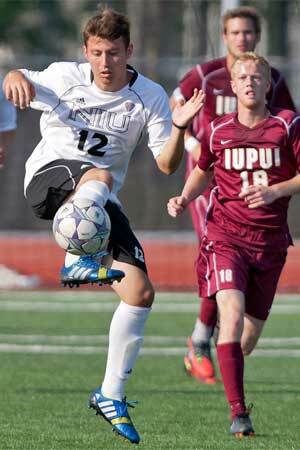 “American college soccer is so unique,” Luzzi said. “We are the only soccer environment in the world where the preseason lasts a total of 10 to 12 days. Most of the world gets four-to-six weeks, but we don’t, it’s the schedule we have to live with. Before leaving for Indiana, the Huskies will spend the first week of preseason at home in DeKalb, including an exhibition contest Saturday, Aug. 16, against Western Illinois. Greeting the Huskies on-campus this fall has been a new locker room as the men’s and women’s soccer programs moved out of Huskie Stadium and into new digs in the Convocation Center. “It’s a huge deal,” Luzzi said. “For the last couple of years we have been in a nice space, but a really, really big space that we have had to share with a couple other teams. It was a nice space, but it wasn’t our space, it was a shared space with two other teams. “The fact that we now have something that is ours, that we have been able to brand the room with our theme, will hopefully allow our guys to enjoy their experience more and can give us a space to call our own. It’s a big deal and I’m really excited to be able to provide that for our guys. 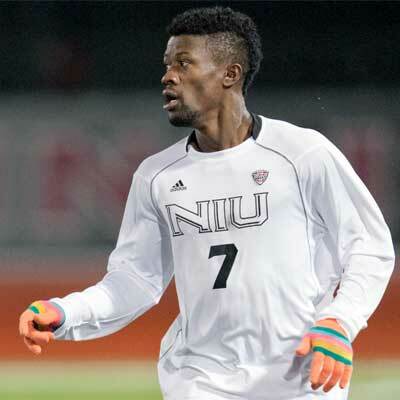 Following the preseason, NIU will open its regular season slate Friday, Aug. 29, against Hofstra in Evanston, Ill. The Huskies will make their first regular season home appearance Friday, Sept. 12, when they host UIC, beginning a home slate that features a number of premier opponents, including contests with Akron, Marquette, Northwestern and West Virginia. The first full season with lights has made it possible for the Huskies to attract higher quality home games.